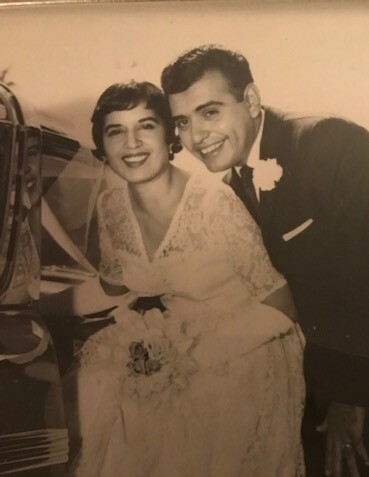 Obituary for Viola D. Arellano | Drinkwine Family Mortuary, Inc.
Viola D. Arellano passed away peacefully in her sleep on December 4, 2018. Vi was born in San Antonio, Texas on August 17, 1930. She married Lee A. Arellano, the love of her life, on August 11, 1957. She and Lee started a family and called Denver a home where Lee found a successful career as a jazz drummer. Vi Worked as a secretary at Holy Trinity School and in the registrar’s office at Regis College, both in Denver. She was preceded in death by her husband Lee who passed away in 1982. At that time, Vi went home to Texas to take care of her mother and father. She worked at St. Mary’s University in Texas as the alumni research coordinator. After the passing of her parents she returned to Denver and lived with her daughter Lisa and son-in-law Bob, along with her grandchildren Michael and Mary. She was a voracious reader, loved sports and adored her grandchildren. She is survived by her son Quinn Arellano; Daughter Lisa Kitsmiller (Bob); grandchildren Michael Kitsmiller (Millie) and Mary Kitsmiller; great grandson Easton Kitsmiller; sisters Minerva Nunez and Diana Moore, and Brother Alfred Porras; and numerous nephews and nieces. Vi was the epitome of grace and courage. She touched many lives in large and small ways. A visitation will be held 6-8 PM, Wednesday, December 5, 2018 with Recitation of Rosary at 7 PM, both at Drinkwine Family Mortuary followed by a Mass of Christian Burial, 11:30 AM, Thursday, December 6, 2018 at St. Thomas More Catholic Church, Centennial, Colorado.